Yummers! I love that you can be as creative as you want as long as you follow the basic recipe! Come link up to this week’s party and share this great idea with the rest of the participants…http://inherchucks.com/2012/05/31/whats-in-the-box-28/. Very nice pan-pesto recipe! I love different combos. 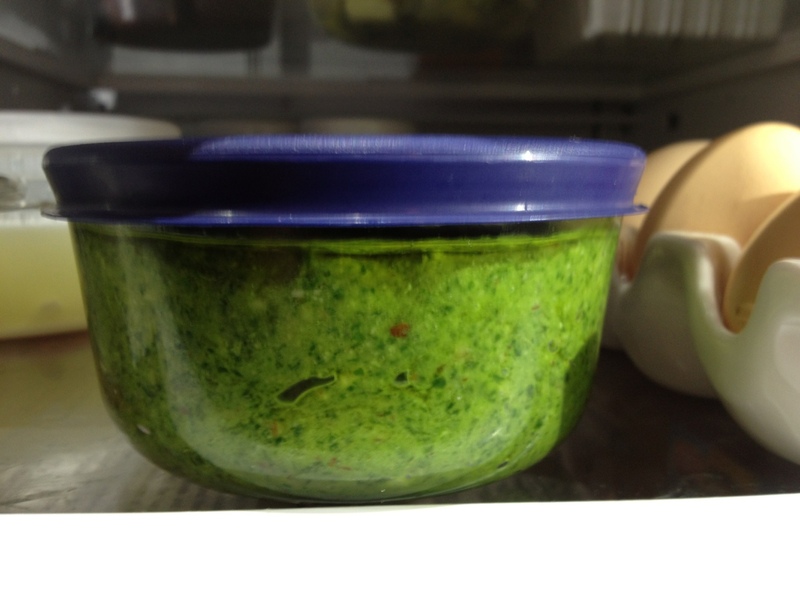 I do the same thing with a chimichurri sauce. Thanks for stopping by! 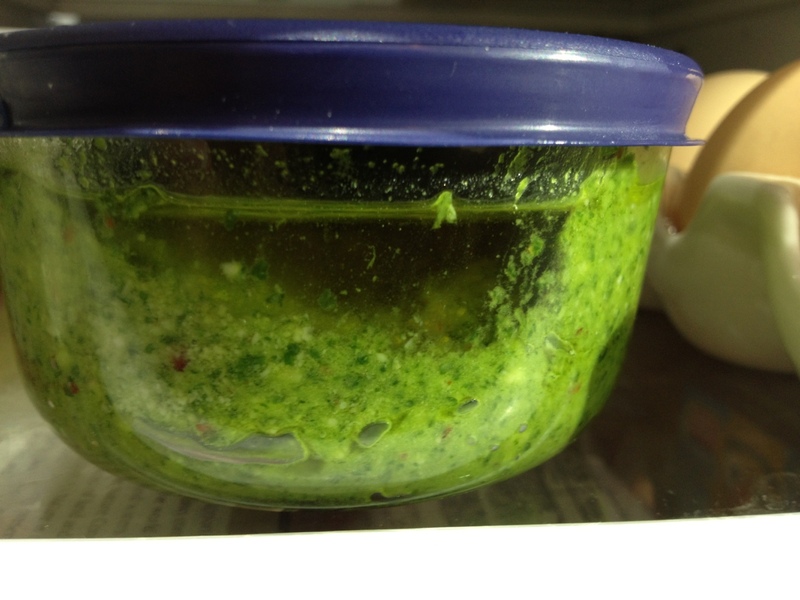 I’ve never tried it before, but found your “Easy Chimichurri” recipe and looks delicious!